End-of-life care is care in the last year or so of our lives. We may become unwell with an illness that will shorten our life, like cancer, heart failure, or dementia. Or we may be frail due to a combination of factors. But thinking about end-of-life care is for all of us, because we can’t anticipate the future. When making decisions about end-of-life care, there are many options. The video below will help you come to decisions that are right for you. Are you thinking about end-of-life-care? Are you thinking about end-of-life-care? This video is for everyone – at any age, at any time of life. It is around 15 minutes long. You may want to find a quiet time and place to watch. You might choose to do this on your own or with a loved one. You can watch as many times as you like, but you may want to have a pen and paper to hand so you can make notes. 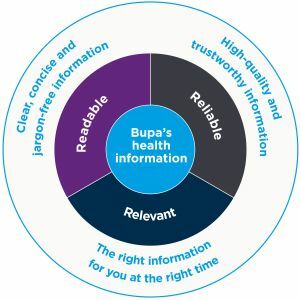 This video has been produced by Emmi Solutions in partnership with Bupa. ˆ We may record or monitor our calls.